The bigheaded children he depicted are highly recognizable and famous in the international context, even among people of different generations. These little girls’ wide eyes reveal shrewdness, anger, or inscrutable rebelliousness. After Japan’s 3.11 earthquake, however, the facial expressions of Nara’s figures became gentler. 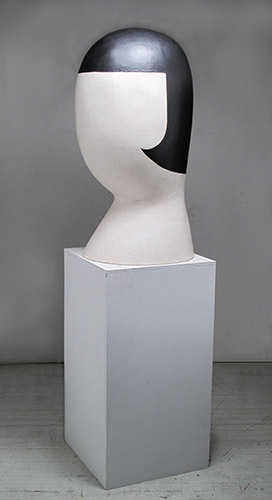 Since his solo show in Tokyo in 1995, Yoshitomo Nara has received numerous attentions and feedback. 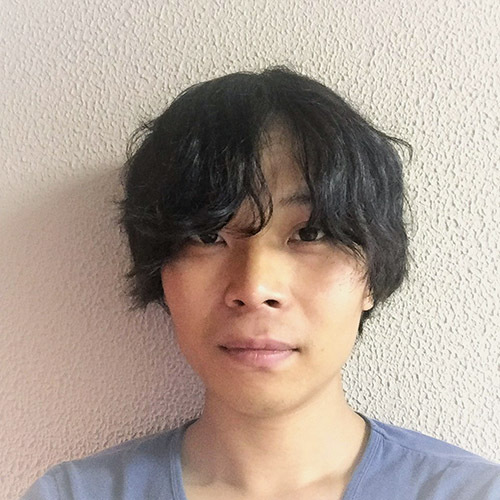 The art critic Matsui Midori has once stated that he would consider Nara as one of the important artist who has revived figurative painting via the techniques of contemporary art. When your hands know exactly what to do … when porcelain immediately seems to sense that it must become a vase … than the wheel is a stage for the dance between you and the clay. What remains is the moment, the wonder, the joy. It is a pure delight to watch Tineke van Gils when she is working on the potter’s wheel. 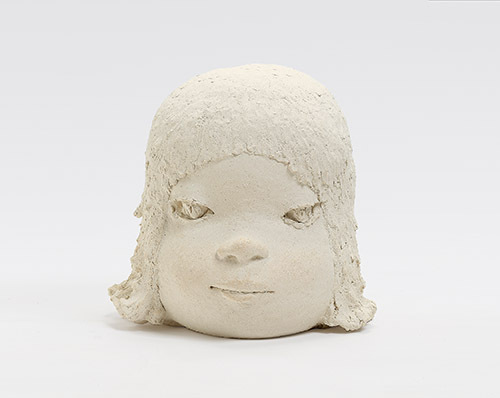 Whether it is on a big stage during ceramics seminars she organises in the Netherlands, or in the intimacy of her spacious and bright studio, she throws pots with a natural ease and a radiating calmness. 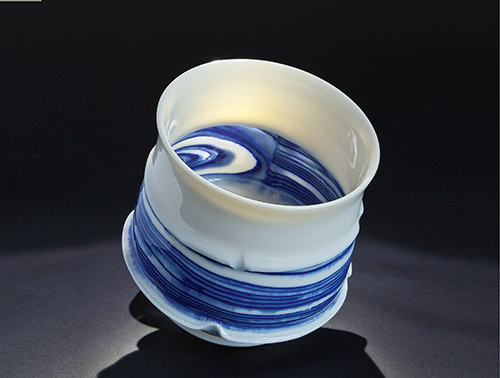 The results look equally natural: porcelain which stayed true to its origins, solidified in its dance on the wheel, creamy white bowls, teapots and vases, each movement still visible, each touch cherished forever. Forty thousand years ago, humans began to paint on cave walls with the colours that nature provided and to make figures of goddesses from clay. 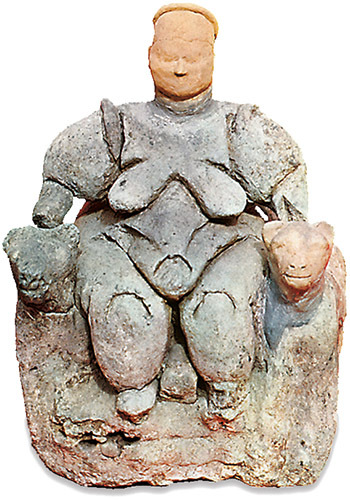 The high point of these creations was the Mother Goddess in Çatalhöyük from 6200 B.C.E. 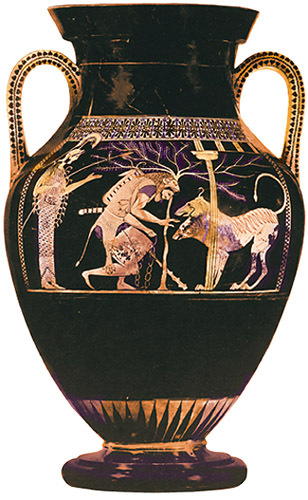 The figure represents the life-giving and destructive goddess between two leopards and was a symbol of supernatural authority that is preserved by natural forces. – The sense and meaning of a work of art, after which there has been nothing else of its kind. Çatalhöyük was the largest settlement in the world at that time. As a fair for applied art and design, in 2018 with approx. 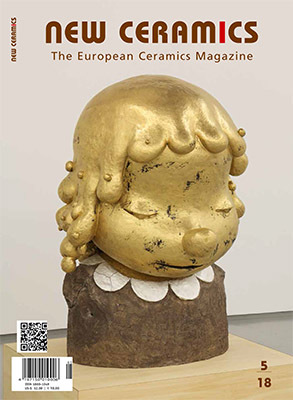 350 selected exhibitors from 17 European countries and everything imaginable from the fields of glass, textiles, ceramics and metal plus a special area for newcomers, EUNIQUE in Karlsruhe had become firmly established. 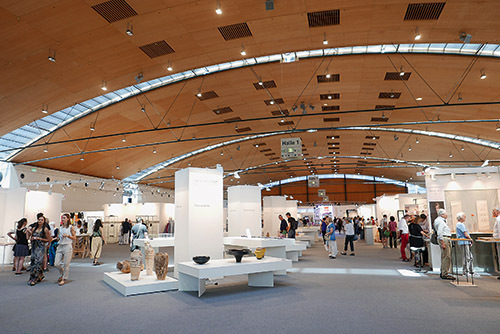 The professional circles of fashion, architecture, interior design, and many galleries have accepted EUNIQUE as a major exhibition event and a pool of inspiration. 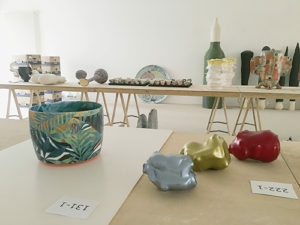 Creatives as well as also galleries used the opportunity to present themselves by exhibiting regularly and repeatedly, marketing themselves directly, showing goods made to order or in series and innovative items as well as testing unique, one-off goods. It is good that parallel with EUNIQUE and accessible with the same admission ticket, LOFT, the DESIGN SHOPPING CENTRE, takes place at Karlsruhe Trade Fair Centre, presenting vast numbers of bright young startups in fashion and design, environment-friendly inventions, hip recycled and alternative products. It is interesting to note that the Karlsruhe Majolikamanufaktur appears in 2018 with an orientation towards digital printing with product designer Fabian Schmidt, who is engaged in building up this area and providing professional guidance at the factory. Nina Herrmann in the vessel design department studied variations of handbuilt unique vessels made from prepared strips, with the foot of each piece made on the wheel. They are slender and asymmetrical in shape, which gives a sense of elegance and grace. These objects, made of porcelain, are illuminated from the inside, which not only shows the making process and translucence of the material to advantage but also enhances their delicacy and elegance. Assembling prefabricated, almost identical modules to make vessel forms is also the theme of Eileen Rosenkranz, vessel design department. 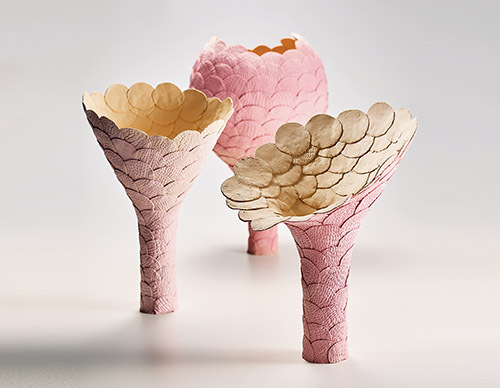 Her piece, Pink is the New Black, is more organic in feel, the development of her families of forms is inspired by the image of an opening bud. Iconic comes to mind, as does epic, if you want to describe Clay Gulgong 2018! 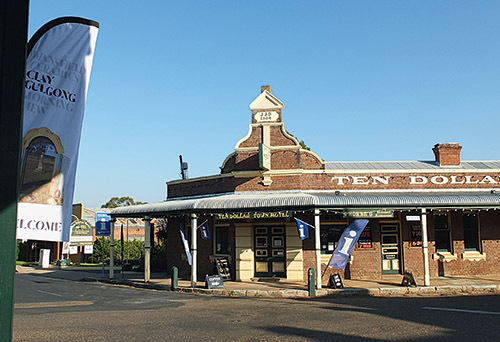 For the tenth time, from 15 – 22 April, the small gold prospecting town in NSW, Australia with its old time charm and its extensive clay deposits welcomed 700 participants from all over the world. 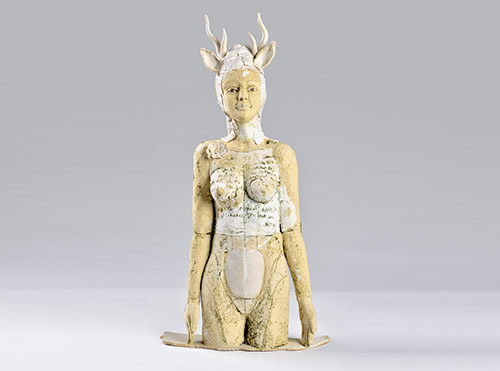 Iconic ceramic artist Jane Mansfield, who died in 2013, established Clay Gulgong in 1989 with Woodfire. The Mansfield family with son, Neil Mansfield and his wife Bernadette are keeping her legacy alive and have once again presented an action-filled week with demonstrations, exhibitions and shop-window displays and plenty of opportunities to get to know each other again. 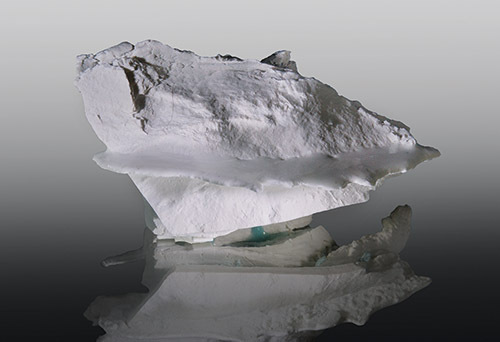 On the Red Hill, in a white marquee beneath a brilliant blue Australian sky, world famous ceramists revealed their secrets to the enthusiastic audience. 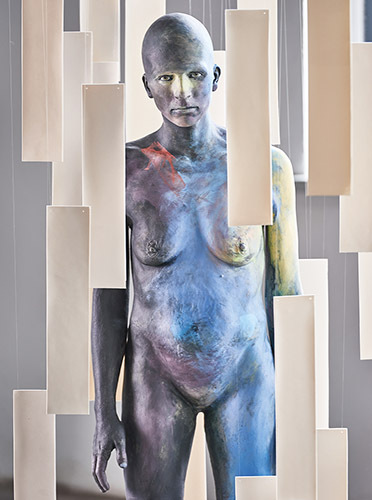 Exciting, exquisite and exotic are words you can use to describe the artists and their demonstrations. As Kuo states, „Drawing was the primary method of communication before the invention of languages. Wasn’t drawing initially based on observations of nature? What was the process, then, in which nature was transformed into shapes and lines? 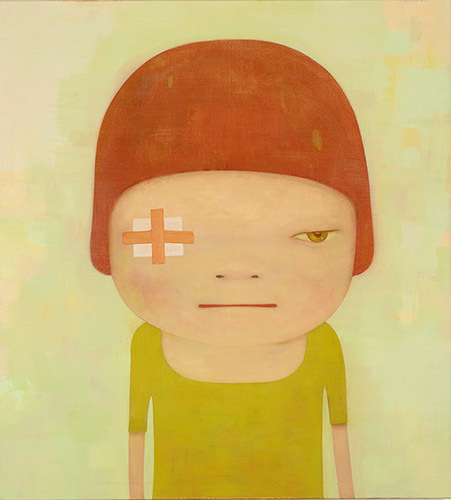 Kazuki Takemura was born in Gifu, Japan, in 1986. 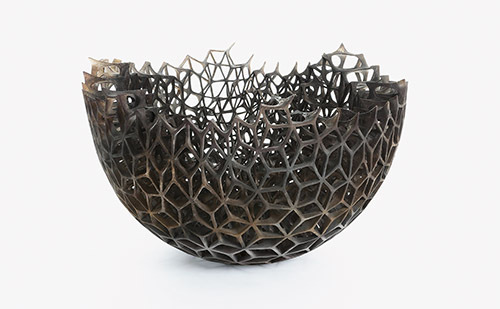 Takemura shapes the form inside the hemispherical plaster mould. In this semicircular mould, he follows his interaction with clay to develop a structure embellished with dancing and pene-trating light. Adil, what is your art background? 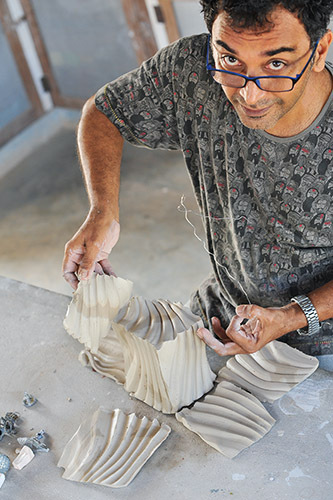 I have studied and worked as an architect in Bombay and San Francisco; now I am neck deep into ceramics. 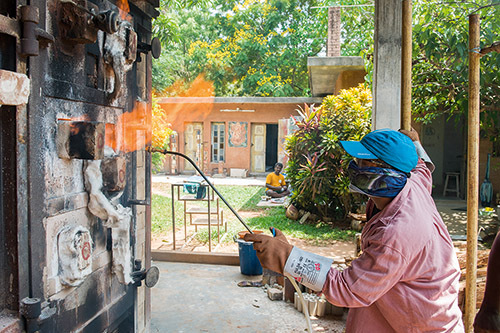 In 1998, I drove my Bombay Zen into the portals of the haloed Golden Bridge Pottery (GBP) in Pondicherry. What started out as a seven-month course, has turned into a lifelong addiction! I spent two and a half formative years at GBP under the tutelage of Ray Meeker and Deborah Smith. Meeker, also an architect-turned-potter, was working on his last fired-house project in those days, and I was lucky to be a part of it. In fact, my international clay journey took off in 2008 when Janet Mansfield invited me to Clay Edge in Gulgong, where I built and fired a three-meter-high dome which still stands tall today at Morning View.